Our townhouses are resale, but thanks to the magnificent state they are in, they can give the impression that they are opening a property. We have a varied list of modern townhouses so you can find the home of your dreams. Many properties have two floors so that the structure of your home is as adequate as possible. Thus, the coexistence with your family will be carried out in a more comfortable and comprehensive way. For families that have young relatives, many of our townhouses have reserved for them, fabulous outdoor gardens with swimming pools so that fun does not decay. Your children can have fun at all hours in these incredible green areas. On the other hand, if you're tired of wearing warm clothes all day long, at Playa Flamenca you'll say goodbye to winter clothes in a few months. The lowest annual average temperatures in this area do not usually fall below 10º. In addition, winters are much shorter than summers, so in a few months, you can start using shorter and more comfortable clothes. 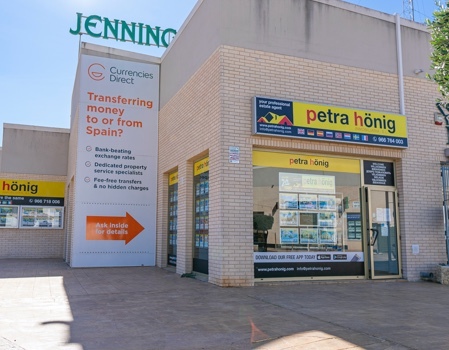 Where are our townhouses for sale located in Playa Flamenca? 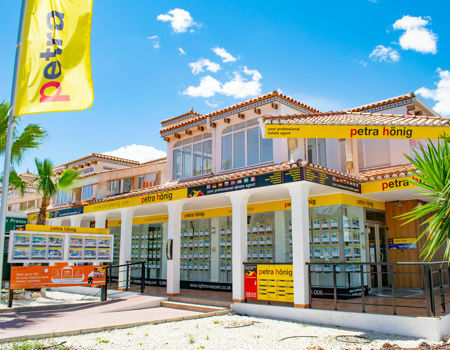 Our townhouses for sale in Playa Flamenca are located south of the province of Alicante (Spain). They belong to the district of Orihuela Costa, very close to the Region of Murcia. Elche Airport - Alicante has located a few kilometers away. In this way, you can land on the Costa Blanca and reach your destination in a shorter time than you think. 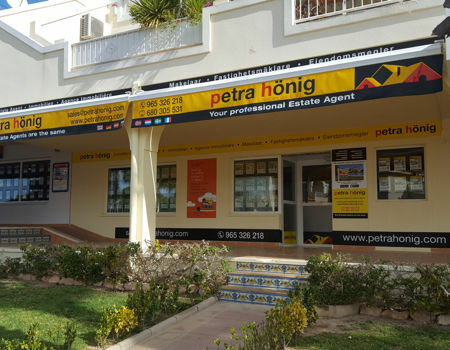 Do not miss the multiple opportunities offered by our townhouses for sale in Playa Flamenca. Our properties await you in our last open venue, right in Playa Flamenca. You can find us at Calle Niagara, Nº 39. Residencial Miraflores III. Bq. 7, PHASE B, local 4. 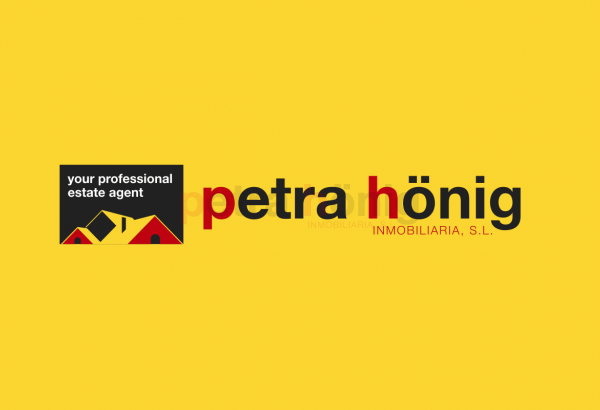 For more information, we provide you with our customer service email for any questions you may have: info@petrahonig.com. We will try to answer you at the exact moment of receiving the message.